Josef Adersberger is co-founder & CTO of QAware, a German custom software development company and CNCF silver member. 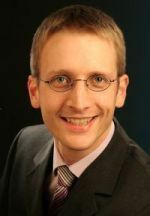 He studied computer science in Rosenheim and Munich and holds a doctoral degree in software engineering. He is currently responsible for a large-scale cloud migration program and lecturer for cloud computing at several German universities. Beside that he talks frequently at international conferences like CloudNativeCon EU 2018, CloudNativeCon NA 2017, Apache Big Data NA 2017, and Spark Summit East 2016.